What’s the scoop: Fresh off ending her side hustle with the DEO, Kara is now saving the world as a hobby, though she manages to stumble into a black ops military mystery in the process. Some invisible aliens attack a group of SEALs and things go very bad, but they would have been much worse had Supergirl had not arrived when she did. Colonel Haley takes over the scene, and is all grouchy with Kara. 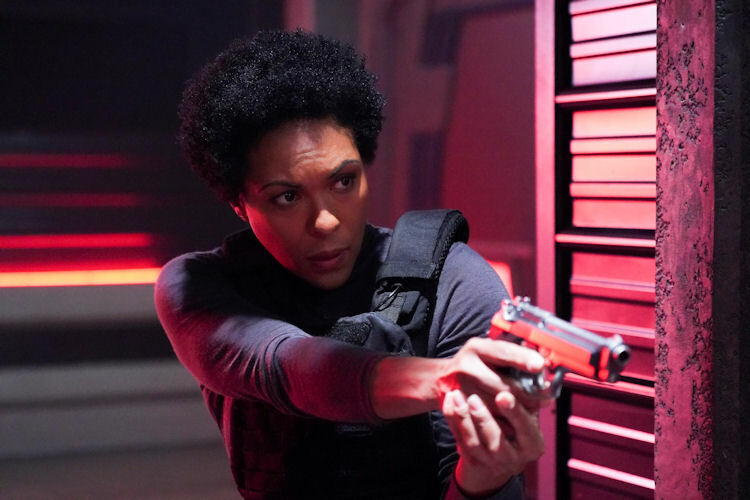 Kara does some poking around and with the help of J’onnz’s old files, discovers the existence of a covert project involving said invisible aliens, and shocker — Colonel Haley was a part of the project. The long and the short of it is that the government trained child aliens to become invisible assassins (what could go wrong there?). After the president sent the orders to cut ties with all aliens, the assassins were to be neutralized, but the aliens had other ideas and ambushed the SEALs that Kara rescued, and Haley is next on their list. Meanwhile in B-plot land: New year; new everybody. There was a significant shift with most of the secondary characters. Jimmy and Lena kissed and made up. Then, Lena spilled the beans about her ethically questionable science project, which Jimmy outwardly supports, though he’s conflicted. J’onn had a private investigator’s license and a sweet looking and enormous office to work out of. 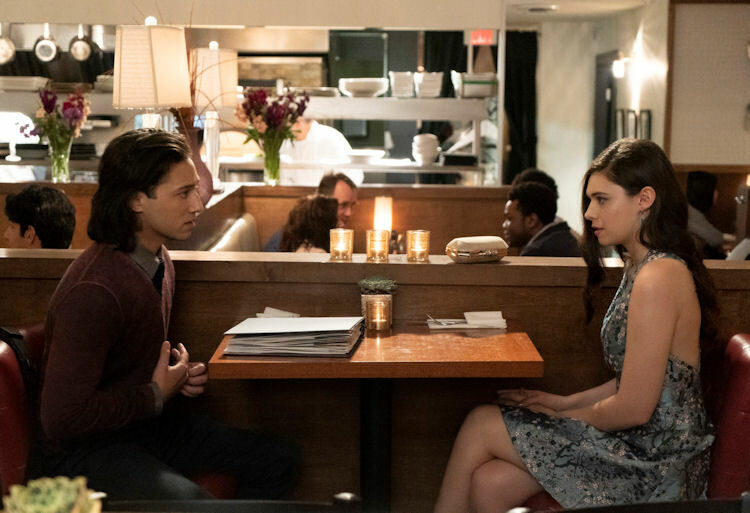 Nia thinks Brainy asked her out on a date, but Brainy just wanted to ask her to become part of the team to back up Supergirl, now that she’s a freelancer. What about the action: It’s difficult to do fight scenes against invisible foes, but the show did its best with what it had. There was some reverse perspective stuff, and quick cuts that truly conveyed the chaos that a fight against an enemy you can’t see must be. The series got the most tension out of Haley’s quest to find Kara’s secret identity and her interrogation of the small circle of agents who know the truth. Even in the midst of some real personal danger, Haley kept on mission. She cracks one of the agents before the big alien attack, and finds out Supergirl’s secret. 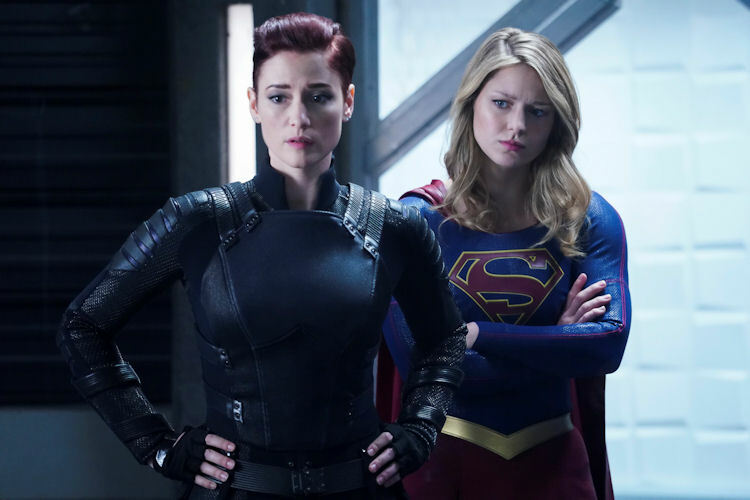 Seconds after Kara saves her life, Haley issues an ultimatum for Kara to come to heel and ditch her identity, or everyone she knows and loves will suffer dire consequences. Alex ends Haley’s monologue with a punch to the jaw. While she’s out, the Danvers sisters ask J’onn to erase that knowledge from Haley’s mind, and he grudgingly agrees. But, that’s not the end of it. Haley still has the drive to know the truth about Supergirl, and enlists the help of a truth-extracting alien in a jar to find the truth. 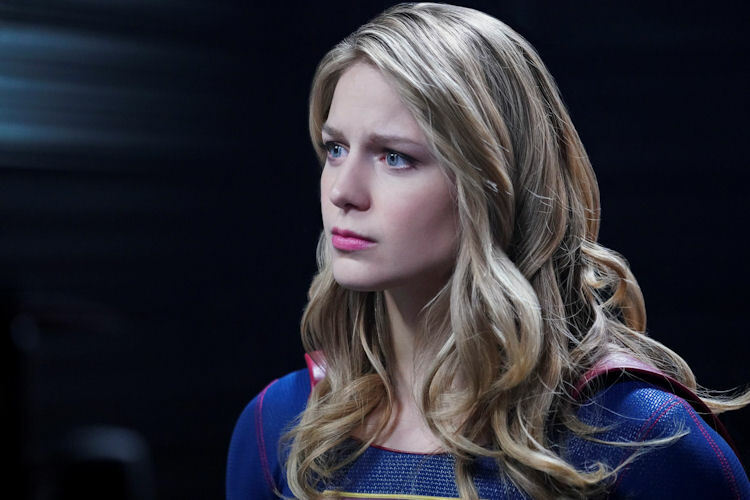 To protect Kara, the circle of agents (Alex included) agree to have their minds wiped, leading to an emotional scene where Alex sacrifices her memories for her sister. What’s next: The mind wipe doesn’t go well for Alex, and it could endanger everyone. Last impressions: It’s beginning to feel like the DEO’s days as a major location on Supergirl are numbered, which makes sense from a cost-cutting perspective. The HQ requires a lot of sets, soundstage space, and black-suited extras to populate it. It’s easy to visualize a slimmed-down version of Team Kara (Alex, J’onn, Brainy, Nia and Jimmy) saving the world from J’onn’s cavernous office, once Colonel Haley and (likely) the president’s corruption is exposed and causes the DEO to disband. This was the first time all season that an episode felt right. There was peril, and there were Serious Issues, but there was also room for the characters to interact outside of the issue the episode was trying to address. We feel for Kara trying to find her place in the world, again. We feel for Alex making an impossible choice without hesitation. We feel for Nia’s embarrassment and understand her curiosity. We feel for Jimmy wrestling with supporting the woman her loves, or following his conscience. This emotional resonance has been a cornerstone of Supergirl from the beginning, and it’s nice to see its return. Previous story Netflix Wins All-Out Bidding War for Ryan Murphy and Sarah Paulson’s New Series, Ratched *Updated: Holy Casting Coup!